Hell is other passengers. 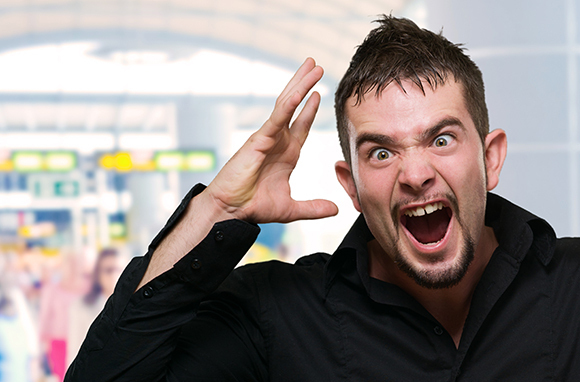 In the airport, long lines, flight delays, and too-short connections create a world of aggravation in which irritating people are the irksome overlords. It happens on every trip: They crowd the gate, get in the way, get snippy, exhibit poor hygiene, and generally act like selfish schmucks. We usually just sigh and move on when an exasperating fellow traveler forgets his manners; but now’s the time to vent. 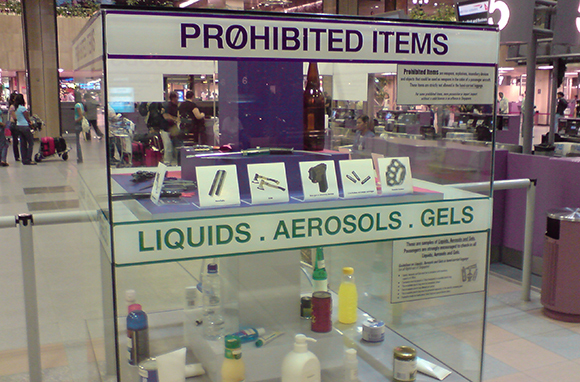 Here’s my take on the rudest things people do in airports. Anything to add? Leave your thoughts in the comments. 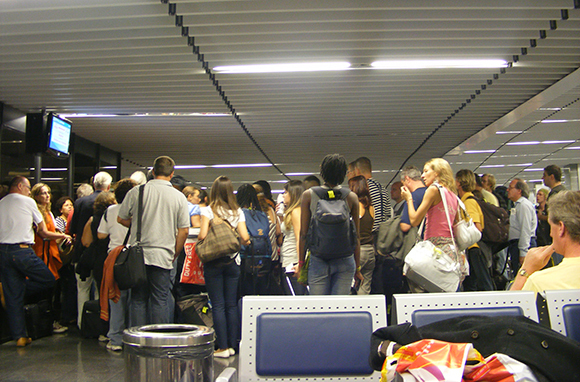 Is your gate blocked by packs of travelers who linger near the jetway like a herd of stubborn bighorns? Of course it is. These characters are collectively known as "gate lice"—as in, annoying people who obstruct the flow of passengers lining up to board. They're as common to the airport experience as long lines, poor Wi-Fi, and outrageously priced water bottles. In accordance with their ancient belief system, it is absolutely crucial that they get on the plane before you. We're not alone in our disdain. 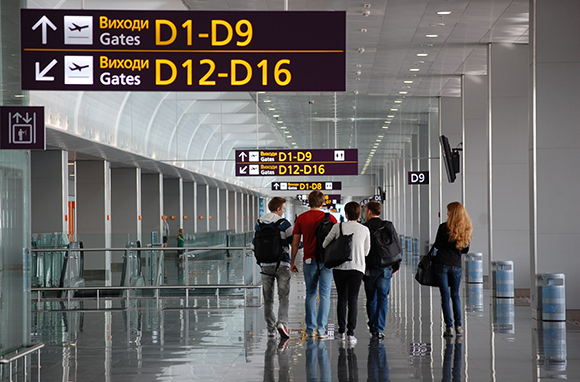 Travel writer Kara Williams of The Vacation Gals tells us, "I despise having to push through people who are in boarding zone five, when I'm in boarding zone two. I say 'excuse me' really loudly." Other socially acceptable ways to deal include asking a gate agent for help if you are having trouble boarding, or sacrificing your integrity and becoming a gate louse yourself. I would rather not sense the presence of a nearby child's poop while waiting to depart. I assume most other passengers agree. In spite of our collective preference for a human-waste-free boarding area, many parents go ahead and change their kids' diapers right there on the seats or on the floor. Their children are so adorable that no one would ever be offended by the olfactory horror show that is infant bowel movements. I've seen this a few times. Why don't more parents make use of the terrific baby-changing stations that are available in airport bathrooms? 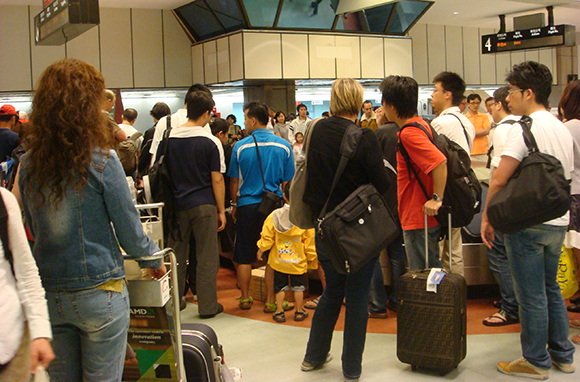 When we asked our readers on Facebook about the most annoying thing people do in airports, Peter Grevstad posted, "Argue with check-in staff about overweight luggage, making everyone else wait." It's understandable that some travelers want to avoid an expensive checked-bag fee or hang onto a sentimental four-ounce bottle of conditioner. We've all been there. But there's a line that gets crossed when you've lost the argument, yet your voice volume continues to rise as the line of passengers waiting behind you grows, and suddenly you're Khal Drogo. Just let it go. Don't initiate a blood feud with the gate agent who insists on checking the humongous bag that you know, deep down inside, is not carry-on compliant. To those physically incapable of walking fast, this does not apply. However, if you are walking slowly because you are texting, are taking in the sights and sounds of the airport while having a scintillating conversation, or think you are in an art gallery and those crappy restaurants are installations, here's something to keep in mind: Everyone around you is in a rush to catch a flight. Those moving walkways are there for a reason. Someone installed them in the airport not only because they are fun and make you feel like you live in the future, but because lots of people are in a hurry. When walking at the pace of a sea anemone, moving to the side and getting out of the way is an excellent idea. 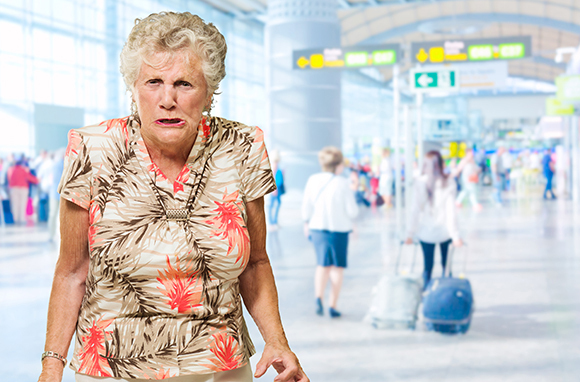 I motion to create a special lane for slow walkers in the airport … that leads to the exit. On Bad Latitude, Travel Editor Spud Hilton asks which is worse: gate lurkers or carousel crust. About the latter, Hilton says, "There are times when it seems as though people believe the next thing to come out of the shoot at the luggage carousel will be free bricks of gold. (Or gallon cans of gasoline, whichever is more valuable.)" Gate lurkers and carousel crust are cut from the same cloth. Carousel crust, like said gate lurkers, take an anarchist approach to collective cooperation by elbowing and kneeing their way into an obstructive space. I guess it's very important to be as close to the carousel as physically possible in order to thwart anyone who might try to steal your suitcase filled with dirty socks and hair products. There are two types of people who have emotional breakdowns in airports: those who have never traveled before and those who have traveled so extensively that they are in the throes of a clinical mood disorder. 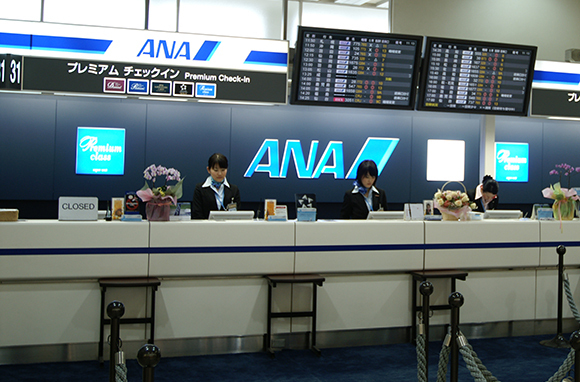 I was operating in the latter category when a front-desk agent made me cry. In short, the icy agent blamed me for missing my connecting flight and charged me a lot of extra money for a ticket home. (As is usually the case, I had missed my connecting flight because my previous flight was late.) The worst part was her bitter attitude, which I will compare to a toilet filled with wasps. Customer-service agents who do not play nice with passengers—especially harried passengers—should consider a career change. Airport security is really confusing. Still, I do not understand why some people are surprised to find out that they need to take off their shoes after spending 15 minutes standing in line watching everyone take off their shoes. Some airports even have a life-size hologram of a TSA agent explaining the procedure in several languages. Yet there's always that guy who isn't sure if his computer should come out of the bag or who threw a bunch of full-size bottles into his carry-on and thought everything would be copacetic. Maybe they think the creepy hologram is trying to trick them with bad information. I'm not sure what the root of the problem is, but I do know there's an app for that.